In case you haven’t noticed, real bacon is back. Not the brine-injected, bland supermarket stuff, but naturally-reared pig bacon from the belly or loin, dry-salted and hung so that when you put slices in a pan they quickly crisp up. You can buy charcutier Richard Bosman’s coppa, bresaola and other cured meats in Spar and fancy delis. But when eating breakfast out, local cafes and restaurants that serve non-commercial bacon are harder to pinpoint. 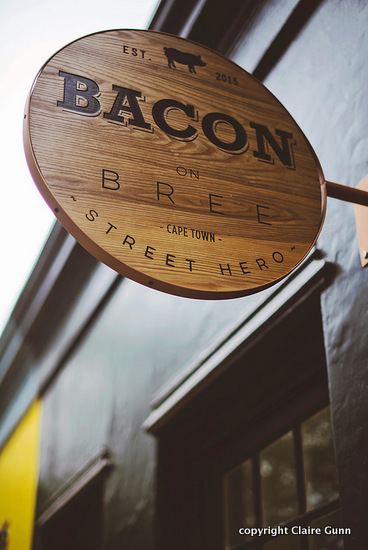 Bacon on Bree is Bosman’s ode to superior bacon in an urban restaurant. 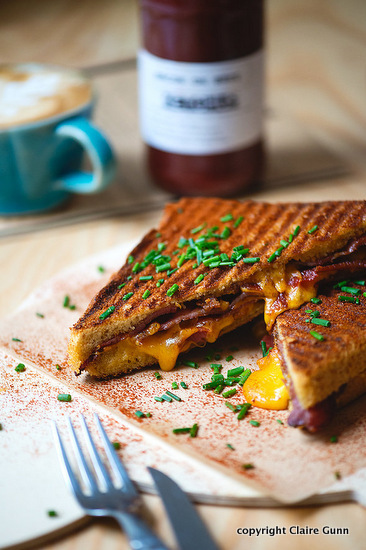 Bacon on Bree's Smokey Joe: house sourdough, crispy bacon, cheese. 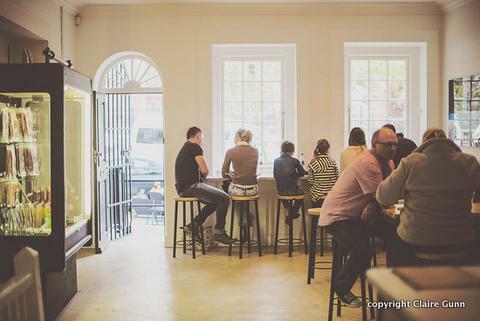 Opened in partnership with wife Justine Seymour in mid April, it’s a daytime bacon bar offering a tiny menu: five bacon sandwiches or croissants arrive on pig board cut-outs. Bacon is partnered with homemade Asian-inspired salty sauces, salad or cheese. The Harvey Specter flies, with crisp bacon, Brie, tomato and pesto crammed into a ciabatta. The Smokey Joe house sourdough (shaped as a government loaf) simply pairs bacon and cheese. Dusted with smoked paprika, it’s a winner. In demand are Bosman’s vacuum-packed bacon products to go. Priced from R40 to R45, at least five types of pig are sliced under the guise of cured meat. There’s smoked, streaky, nicely marbled neck, or fattier cheek guanciale strips. Bacon cured with honey (best with breakfast pancakes), competes with herb-and-spiced pancetta or lightly smoked lardons. Unusual wild boar is available as belly pancetta, or in pinker boar bacon loin strips. You can take away crackling ‘chips’, jars of bacon dust or packs of mixed nuts partnering crispy lardons. In short, it’s bacon or bust. A version of this appeared in The Times on 3 June 2015.